Much is made of wine’s ability to age and the glories of mature wines. Most of this is just so much bunk. Only a small percentage of all wine produced is age-able in the sense that it can hold up in the bottle for at least two to five years after it’s released. Of this age-able wine, only a portion is actually age-worthy meaning it will actually improve with bottle age after the wine is released by the winery. Most wine – including very nearly everything that sells for less-than-$20.00-per-bottle – is made to be consumed soon after its purchase. Age-able wines will hold up in your temperature controlled cellar for as long as five or more years – but they won’t really improve. They slowly lose fruit flavors and aromas and eventually begin to taste old without really developing. Age-worthy wines possess the necessary fruit, acidity, and balance to last through the softening of their structure and support the developed aromas and flavors that come with bottle age in good cellar conditions. A cool, emperature stable ienvironment is essential for aging. 55° is ideal. 60° is OK. Your air-conditioned hall closet (fluctuating from 70° to 80°) is highly suspect. While these age-worthy wines reward cellaring with evolved, softer flavors, many drinkers still prefer them young and fruity. Even after extended aging, these wines are often described as “fresh . . . young . . . youthful . . . fruity.” Of all the wines of the world, fine Bordeaux, Burgundy, and Port are most likely to repay the investment of time and money in proper cellaring. Of all of these, the greatest vlaue and selection is found in Bordeaux. 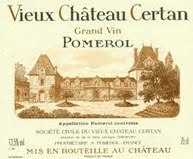 Here are several Bordeaux wines across a range of prices that have what it takes to develop with time in the bottle. All have enough acidity to last through the process and enough fruit so that essential fruit component will still be there when the wine is ready. A blend of 70% Merlot, 29% Cabernet Franc, and 1% Cabernet Sauvignon fermented in oak upright tanks using pump-over Aged 18 months in all French oak barrels (2/3 new). Deep purple-red color with well formed legs; dry, medium-bodied with freshly balanced acidity and medium phenolics. Supple, elegant, initially shy but smiling. More red and darker red fruit with a laser minerality and sweet exotic spice. Headed for ethereal. Perfumed. WOW. BearScore: 97. A blend of 60% Cabernet Sauvignon, 37.5% Merlot, 1.5% Petit Verdot and 1% Cabernet Franc fermented in all temperature-controlled stainless steel tanks using pump-over. Aged 18 months in all French oak barrels (70% new). Purple-red color with well formed legs; dry, medium-full-bodied with freshly balanced acidity. Bigger and a bit more chewy than the median for Margaux but still elegant with red and darker fruit and mineral-floral perfume. Lovely stuff. BearScore: 94. A blend of 50% Cabernet Sauvignon, 47% Merlot, and 3% Cabernet Franc fermented in concrete and stainles steel tanks using pump-overs. Aged 18 months in all French oak barrels (55% new). Deep purple-red color with well formed legs; dry, medium full-bodied with balanced acidity and medium-chewy phenolics. Richer with a fine mix of ark red and some black fruit accented with tobacco leaf and gravel with lots of mineral and a bit of spice. BearScore: 94+. A blend o 78% Cabernet Sauvignon and 22% Merlot (from a vineyard planted to 75% Cabernet Sauvignon, 20% Merlot, and 5% Cabernet Franc) fermented in Stainless steel tanks using pump-over and aged 18 months in all French oak barrels (75% new). Deep red-purple color with well formed legs; dry, medium-full-bodied with balanced acidity and medium-plus chewy phenolics. Bigger, richer but still classic Pauillac with some red and more black fruit. Lots of gravel and dust some nice spice and classic tobacco leaf. Has a nice “chew” to it with a hint at rusticity. Delicious. BearScore: 94+. A classic St. Julien bland of 67% Cabernet Sauvignon, 24% Merlot, 4% Cabernet Franc, and 5% Petite Verdot fermented in temperature-controlled stainless steel using pump-overs and aged in all French oak barrels (62% new). Red-magenta color with well-formed legs; dry, medium-plus–bodied with freshly balanced acidity and medium-plus phenolics. Delicious ripe, rich and rounded. everything is integrating together. Lots of darker red fruit with plenty of tobacco and dark warm spice to go with the gravel earth and dusty oak. Quite satisfying. YUM BearScore: 94. A blend 80% Cabernet Sauvignon and 20% Merlot grown in a vineyard partly adjacent to the Clos of Ch. 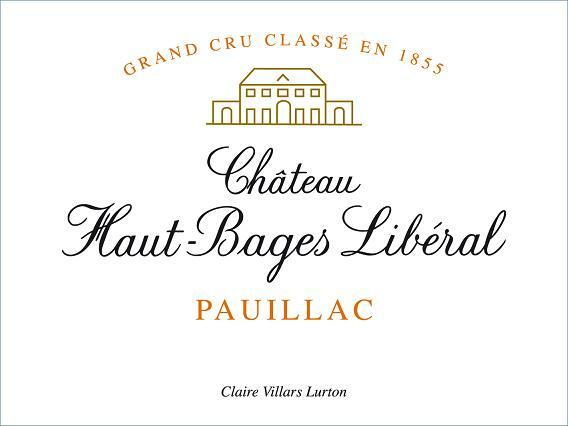 Latour fermented in concrete tanks using pump-overs and aged 15 months in all French oak barrels (40% new). Purple-red color with well formed legs; dry, medium-full-bodied with freshly balanced acidity and medium phenolics. Supple and fresh with lots of lively red fruit accented with tobacco leaf spice and subtle gravel terroir notes. 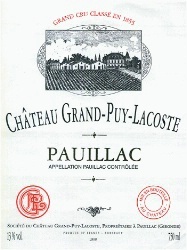 Classic, elegant Pauillac. BearScore: 92. A blend of 60% Cabernet Sauvignon, 30% Merlot, 5% Cabernet Franc from a vineyard across-the-road-from-and-sharing-some-terroir-with Ch. Ducru Beaucaillou. Aged 15 months in all French oak barrels (33% new). Deep-purple-magenta color with well-formed legs; dry, medium-full-bodied with fresh acidity and medium-chewy phenolics. Dusty, juicy mixed red fruit perfumed with sweet spice and stony minerality. Elegant and alive. Yum BearScore: 92. A blend of 80% Merlot, 20% Cabernet Franc grown on clay over limestone terroir fermented in temperature controlled stainless steel tanks using pumpover and aged 16 months in all French oak barrels (50% new). Deep purple-red color with well formed legs; dry, medium full-bodied with balanced acidity and medium-plus phenolics. Lovely rich ripe. Red and some black fruit with hints of chalk and pencil shavings. Delicious. Masculine, alive. BearScore: 92+. 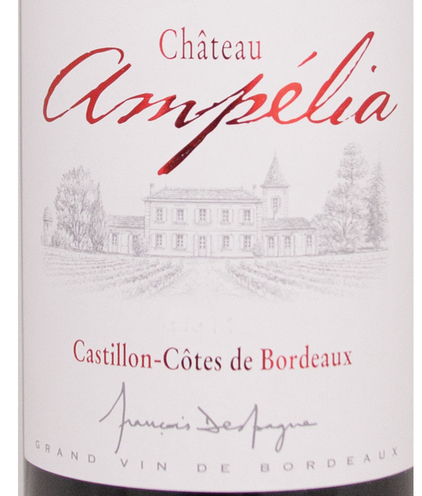 A blend of 50% Cabernet Sauvignon and 50% Merlot grown on sandy (with some gravel) soils just to the southeast (toward the river) of the Margaux appellation. Fermentation is in concrete tanks with pump-overs. Aged 15 months in all seasoned French oak barrels (no new oak). Red color with well-formed legs; dry, medium-bodied with freshly balanced acidity and medium phenolics. Fresh and lively with pretty red fruit and an elegant sublte spice. Margaux-like perfume. Pretty in its balance and simplicity. Think of it as a baby Margaux at an Haut Medoc price. WOW. BearScore: 91+. From François Despagne of Ch. Grand Corbin Despagne fame comes this blend of 80% Merlot and 20% older vine Cabernet Franc fermented in a mix of concrete and stainless steel tanks and aged in all French oak barrels (33% new). 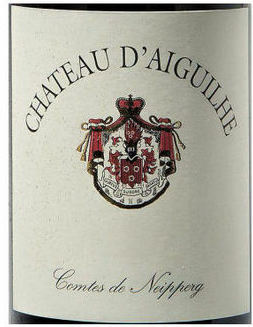 Purple-red in color with well formed legs; dry, medium-bodied with freshly balanced acidity and medium-plus phenolics. Supple, fresh, even pretty red and darker red fruit, red floral, black pepper, spice, and subtle earth. BearScore: 91+. I’m not saying that wines don’t improve with age; almost all wines do. The point is that most wines have sufficient aging by the time they’re released that they don’t need any more. Most winemakers can make wines that require further aging after release, but most don’t. In the past, lack of understanding about the processes that take place during the fermentation, maturation, and handling of wine contributed to the need to make massive wines that took years to soften. Many winemakers are using riper and riper fruit which gives sweetness and richness to the wine but reduces or eliminates the acidity to age wine. Modern winemakers better understand the process of fermentation and understand that tannins bound with anthocyans taste softer than unbound tannin and so mature and handle their wines to encourage bound tannins. Modern winemakers understand more of how new oak barrels impart flavors and sweetness to wine. These new barrel-aged, softer, riper, less acidic wines are much more accessible when very young and are drinkable at a much earlier age than their predecessors. While most of these wines are full of concentrated color, tannin, and flavor, all but the very biggest is at least drinkable within four years after the vintage.